Smart, off-grid solar energy power generation and distribution continues to gain traction across Sub-Saharan Africa, attracting interest from national and multilateral development agencies, international investors, government authorities and domestic banks and financial services providers. 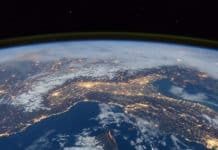 A string of news announcements emerged in December, capping off what has been an active, busy 2018 in the fast-growing, emerging markets sector, highlighting the latest efforts to realize national and U.N. renewable energy and climate change goals. Kenya’s President Uhuru Kenyatta in early December announced plans to scale up renewable energy investment in order to achieve a 100 percent “green” energy goal by 2020. 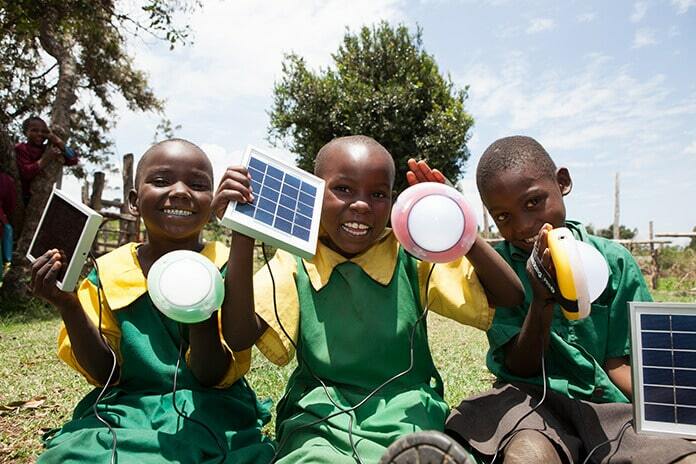 Off-grid, mobile pay-as-you-go home solar power first took root and began to grow rapidly in Kenya. It’s estimated that some 9 million Kenyan households can now access off-grid renewable energy, and that number is expected to continue to grow. The 100 percent-by-2020 renewable power goal is seen as a means of creating jobs and improving lives and livelihoods, as well as achieving rural and national electrification and U.N. Paris Agreement climate change and Sustainable Development Goals. Kenya’s aiming to triple the number of people connected to the power grid to reach 60 percent of the population, according to the World Economic Forum. Furthermore, Kenya stands a good chance of greatly improving working and living conditions in rural areas if it proves able to realize these goals, as well as possibly stemming the rising tide of urban migration and urbanization and reducing the flow of Kenyan international immigration. The news from Kenya set the stage for a series of solar and renewable energy announcements this month, all of them inextricably intertwined with efforts to spur sustainable development, lower greenhouse gas emissions and mitigate and adapt to climate change. Spanning solar, wind, biomass, hydroelectric and geothermal power generation, the REPP program had provided funding for 18 renewable energy projects in a variety of Sub-Saharan African countries at the time of the announcement. They included: Burundi, Kenya, Nigeria and Tanzania, according to a news report. 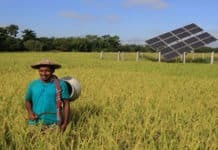 The new €100 million of funding will help finance as many as 40 new renewable energy projects or programs in Sub-Saharan Africa over the next five years, the U.K. government said. REPP is part and parcel of the U.K.’s commitment to invest €5.8 billion (US$7.36 billion) internationally for climate finance by 2020. 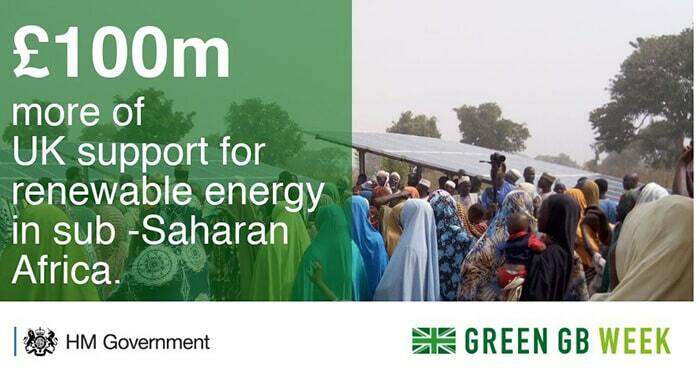 “This £100 million will help communities harness the power of their natural resources to provide hundreds of thousands of people with electricity for the first time,” U.K. minister for Energy and Clean Growth Claire Perry said in a statement. “Building these clean, reliable sources of energy will also create thousands of quality jobs in these growing green economies,” she added. Off-grid solar companies active in Sub-Saharan Africa continued to raise capital to expand geographically, as well as add to or improve the range of off-grid electric and electronic products they offer. Zola Electric, formerly Off Grid Electric, on Dec. 11 announced it had secured a US$32.5 million credit facility to finance its activities in Tanzania over the next five years. Netherlands’ development bank FMO was the lead arranger of the credit facility, a senior loan of US$5 million from FMO’s Access to Energy Fund. That comes along with a US$12.5 million equity investment. Investment company Symbiotics added another $15 million. Zola Electric offers smart, “solar plus storage” systems for off-grid households and businesses across Sub-Saharan Africa, according to the company. The new financing will enable the company to provide access to sustainable, emissions-free electricity to an additional 145,500 Tanzanian homes, management says. Tesla, Total and GE Ventures have invested in the company, as well. Another leading smart, mobile pay-go “solar plus storage” technology provider, d.light on Dec. 17 announced it had raised US$41 million in equity financing from a group of investors led by Inspired Evolution, an investment advisory company that specializes in Africa’s energy sector. FMO contributed to this financing, as well, as did government investment funds Norfund and Swedbank. Founded in 2007, d.light provides solar power to more than 88 million people in 62 countries, according to management. The company’s products and services extend to include portable solar lanterns that double as mobile phone rechargers, LED lighting, small home appliances and a flat-screen television. All told, d.light has raised more than US$100 million in equity and debt financing over the past two years, according to the company. Some of d.light’s earliest investors took advantage of the latest round of equity funding to make their exit, management noted. Enabling customers to derive the greatest value, or productive use, of the solar-fueled energy they now have access to emerged as a main theme in Sub-Saharan countries and worldwide this past year. That includes coupling off-grid, solar power generation with internet access, as well as home entertainment. A self-funded startup, Senegal’s OniriQ’s Solar and Digital Home Systems combine a 50-Watt solar panel, LED lamps, a 24-inch television set and an internet connection all in one set-top box. “The competitive landscape for domestic off-grid energy is quite crowded in Africa, but the majority of companies are specialized on distribution. 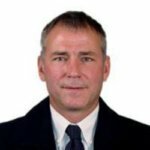 We observed that the top 10 companies specialising in hardware development focused on electrifying rural houses but neglected all the digital uses,” OniriQ CEO Rodolphe Rosier told Disrupt Africa. 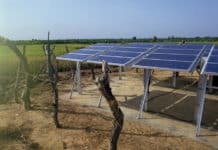 Decentralized solar power generation and distribution is gaining traction in the West African country of Benin, as well. Sponsored and supported by the U.N., Millennium Challenge Account Benin launched its second call for project proposals Dec. 18. Known as the Clean Energy Facility Off-Grid, the call for project proposals aims to raise capital to extend sustainable energy access across rural areas of Benin. Proposals need to address any one or more of four key criteria: off-grid energy for public infrastructure, decentralized energy production and distribution, household energy systems and energy efficiency. The fund will finance a maximum of 75 percent of a project’s budget, up to a maximum of $20 million, according to a news report. PEG Ghana receiving an award for the Best Off-Grid Energy Solution Company of the Year at the 2018 Ghana Energy Awards illustrates just how high a profile distributed “solar plus storage” and other sustainable, renewable energy generation and distribution technology, and companies, has taken on. 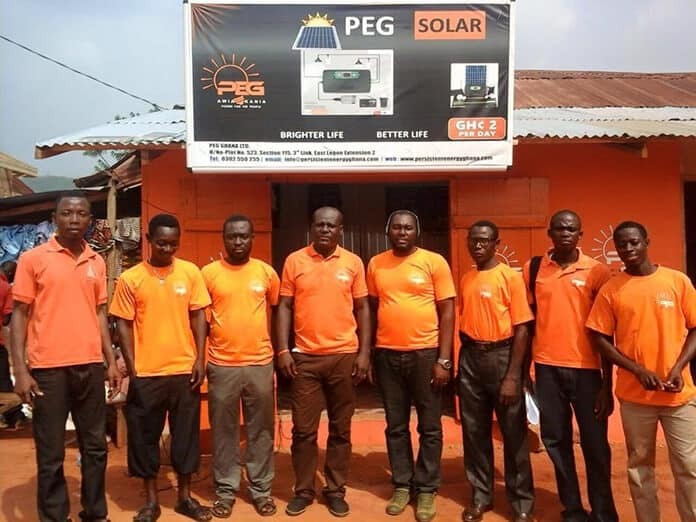 PEG Ghana sells home solar energy systems on credit to low-income households. PEG Ghana also runs the PEG Boafo CSR program, which provides health care and education, as well as solar lighting, in communities across the country. The company also runs The Gift of Light program whereby people living abroad or in Ghana’s urban centers can purchase and have PEG Ghana deliver and install solar home energy systems for friends and residents living in the country. “The off-grid solar energy space, and the financing DWM [Developing World Markets] has provided, responds to the unavailability and the unreliability of conventional systems. Estimates vary, but we read 1.3 billion people around the world who are literally off-grid – they’re just not in the neighborhood where the grid reaches. Then there are perhaps another billion who are within reach of the grid, but they haven’t connected to the grid or grid power isn’t reliable,” Managing Director Peter Johnson told Solar Magazine in 2017. In all these cases, the conventional has failed to achieve the expected goal, so there’s an unconventional solution, which now a combination of innovative technology and financing is providing.